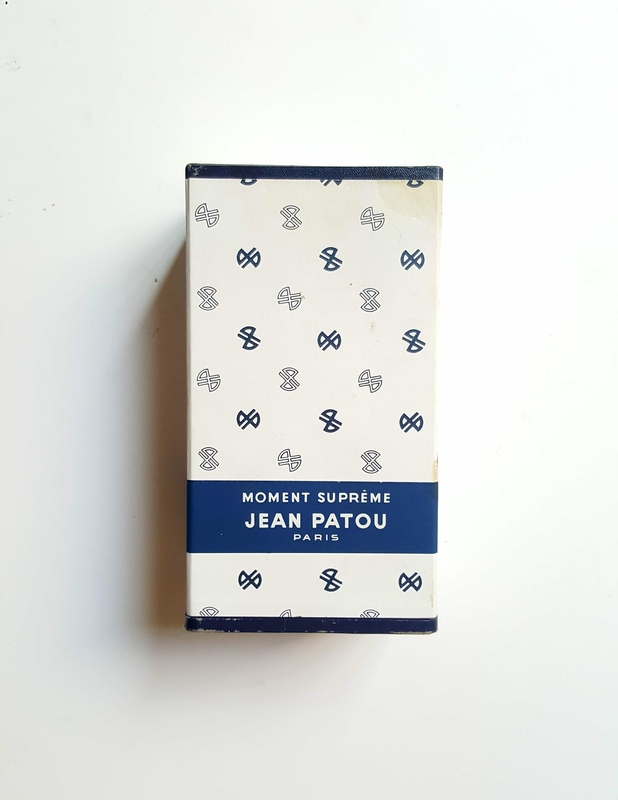 Moment Suprême – Jean Patou – J'aime parfum! The one that has it all… I acquired my bottle of parfum (!) out of sheer luck. I had no prior knowledge about Moment Suprême and, boy was I missing out. Jean Patou is known for Joy, the ‘most costliest perfume in the world’. Or that is how ads read in the vintage Vogues I have. My expectations of that perfume were different from what it actually is. I expected a liberal, free thinker instead I got puritan traditional in pure parfum form. Not that Joy is anything less than a legend in perfumery because it smells like a flower but not just one. It changes colors. Moods. From rose to Jasmine. Jasmine to Tuberose. Tuberose to rose again. It’s a beautiful fragrance. But extremely difficult to wear. Why you ask? Because elegance is lost on today’s ‘modern’ women. A hint of a Balenciaga sneaker or a thermal pant and Joy will run for it’s life. But Jean Patous catalogue already had a good amount of perfumes well into the 1950s, from Amour Amour to the one in spotlight today. Moment Suprême is a very, very special perfume. It’s very beautiful. It’s very unisex and most of all, it’s fresh. This composition is ruled by lavender and bergamot and spices. The bergamot is a top note and flies away soon after application but it adds to the drydown of Moment Suprême. What I loved about this perfume is that it smells like nothing else. Lavender as a ruling note is not a commonality in perfume today. Neither is the mix of it with cloves and amber and citrus. It is truly chic. It is truly of the moment. Good luck finding it and holding on to it.